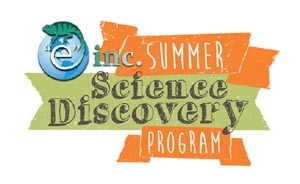 Summer Science Discovery Program is back for its 3 rd summer with all new topics and activities! Based out of the “e” inc. Discovery & Action Center in the Charlestown Navy Yard, the program is open to children ages 6-12. Comprised of two 1-week sessions with a different theme each week (Week 1: Monkeyin’ Around; Week 2: BUGS!). Each day will have a hands-on science lesson, exploration of the Harborwalk, and an art project related to the day’s theme. Special events throughout the week include field trips, guest speakers and science-related games, like Animal Olympics. Kids from past Summer Science Programs have left knowing more about the environment, motivated to do their part to help our planet, and with a new group of friends. We are excited to welcome new and returning Planet Protectors this summer! Of all the different animal species living on Earth, 80% of them are insects! Explore the world from a bug’s view and learn about how and where bugs live, some of the world’s weirdest insects, and how the world would be if we didn’t have any bugs! The Summer Science Discovery Program takes place at the “e” inc. Discovery & Action Center, located in the Charlestown Navy Yard along the Harborwalk.